Over the past couple of months Nintendo's share value has steadily climbed, hitting its highest point in a number of years. This has been largely credited to the successful launch - and ongoing demand - around the Nintendo Switch, while other factors include the company's mobile plans and commercial deals (such as the Universal Park attractions). In a recent analysis on Bloomberg, the publication outlines a strengthening belief that Nintendo is indeed moving on from its conventional 'two-punch strategy' of selling a home console and separate portable device on the market. It's been an ongoing topic of debate, with some looking at the system's hybrid nature and agreeing that Nintendo is moving to a one-system strategy, and others still arguing that the 3DS will eventually have a dedicated successor. Macquarie's David Gibson is in the former camp, believing that all signs - such as the merging of departments in the past five years and so on - point to Switch becoming Nintendo's sole core gaming system. The 3DS will hang around for a few years because of the big install base, but ultimately the goal is for the Switch to become their one and only platform for hardware. It’s part of the biggest evolution to the company in three decades. For some this prompts concern, mainly that Nintendo can't duplicate the raw sales numbers enjoyed in the peak of the two system strategy, such as in the lucrative DS and Wii generation. Another perspective shared in the Bloomberg piece is that, actually, the hybrid nature and multiplayer / competitive games (such as Splatoon 2 and so on) will drive sales of multiple systems in households. Of course, it may not be that simple once Nintendo rolls out various other products. We've seen with ranges like amiibo, the NES Mini and upcoming SNES Mini that Nintendo is eager to release limited numbers of specialist products that serve various purposes and add to profits; perhaps we'll see equivalents in future for the Game Boy and DS ranges. Mobile also remains a key area for potential revenue, if Nintendo can find the right formula for its games and apps. The more we use the Switch the harder it is to get away from the sense that it's being positioned as a portable. We've seen third-parties such as EA and Bethesda highlight portability as a major plus for their releases, so some companies are evidently keen to promote it as a powerful portable with the potential for TV play, rather than the other way around. Time will tell on whether the 3DS will have a 'true successor'. Do you think it will, or is the Switch and its successors the true hybrid future of Nintendo's gaming hardware? 3DS will not hang around for another few years. This Christmas is its last big holiday. The Switch is the 3DS successor. If anything, it's the Wii U(console market) that will see a successor in a few years time. I'm not sure why people would event 'want' a 3DS successor, at least not in the strictest sense. Wouldn't it simply be better to want different 'form factors' of the Switch to suit particular needs? That way, you get the physical versatility offered by previous multiple hardware designs, plus being able to play 'any' Nintendo console / portable game across all your devices. There's no need for a 3DS successor. The Switch is the successor and it's receiving the biggest selling handheld franchise - Pokemon, in the next two or three years which to me says how Nintendo and second party studios are viewing the system. Get this man a show on ESPN next to Stephen A. Smith. I don't think, there will be a 3DS successor. I actually think releasing one would be a mistake that would shoot the Switch and Nintendo in the foot defeating the purpose of the Switch being a hybrid console. What I think we will get is two new versions of the Switch in late 2019. A smaller, more durable(and thus kid friendly) and cheaper version to take over as an "entry level product". Then we will get a more power "New Nintendo Switch". The more powerful version might just be a new dock that acts as a powerup while in TV mode. But I think it more likely it'll be a newer version once the tech inside the Switch can be shrunk a bit more or more powerful chips become more affordable. They can't abandon the market like that.. the 3DS must have a successor.. from a value perspective too.. parents are waaaaay more likely to buy their kids a 3ds rather than a switch as it's way cheaper. Make a new handheld. Lighter, cheaper, sturdier. Keep it 1 screen to keep costs low. Make it 320p / 480p at max (think of the battery folks) from the get go design this for kids. Price it for kids. They'd sell a hundred million for sure.. This is likely true, but it means Nintendo will need something to replace the 3DS. You can buy one for under £100 these days and that's a sweet spot for the casual gamer. A Switch Lite, or by the time the 3DS is discontinued, the current Switch could be reduced to £150 and we might get a Switch Pro? @MrYuzhai It's cheaper because it's so old. Most likely shortly after the 3DS is retired we're gonna hear about a smaller, cheaper, more durable version of the Switch. Face it, the Switch is OLD. It's got about a year and a half left. I hope it is. No more two systems where one gets great support and the other... well, sometimes less support. If Nintendo doesn't announce a 3ds version of pokemon next year then the 3ds is dead gone. Parents buy their kids smartphones and kids game on them. I wonder how much Pokemon Go has earned vs Sun and Moon? Most people have abandoned the dedicated console for their phones. @SuperCharlie78 It'll happen. It ALWAYS happens. In about a year and a half, maybe 2 years, Nintendo will announce a smaller, cheaper version and a more power "New Nintendo Switch"
I think they're overlooking the issue of the price tag... the Switch is too expensive for a lot of people... especially younger fans, who are also less likely to have a decent smartphone to play games on. They need to keep a budget console on the market, and that's where handhelds like the 3DS come in. They could theoretically release a cut-down version of the Switch to fill this gap, but they'd likely have to cut it down so much in order to keep the price down that it'd probably need it's own library of games, essentially making it a separate console. If the switch really is the next main everything, maybe we will see many variations of it, much like the 3DS now. I'd love a 'Switch Pro' for the house with more power and no portability, and maybe a 'Switch Mini' for the younger audience, that has a smaller screen and is cheaper. It is more beneficial for Nintendo people see the Switch as a powerful portable with the ability to double as a home console rather than the other way around. Based on that, they could make a more barebones Switch in a couple of years, when parts become cheaper, that serves as a portable mainly and maybe a Pro model approach, with a dock with extra power in gpu/cpu for more advanced games. I can't see why they would stretch their development thin again, as they did in the past and cost them dearly. Yeah, I can definitely see a slimmed down Switch appearing in a couple of years. 720p screen but maybe smaller for battery life and a better pocket fit. Maybe attached Joycons for price savings and better ergonomics. Which will of course play all the Switch games avaialble now and in the future. The Switch IS the 3DS successor. Would be crazy to bring out another, separate system. "For some this prompts concern, mainly that Nintendo can't duplicate the raw sales numbers enjoyed in the peak of the two system strategy, such as in the lucrative DS and Wii generation." Those people need to wake up and look at 2017, there is zero chance of that happening again, by any of the big 3. The switch was a genius idea in the long run. After two generations of having a system with 2 screens, I'll really be disappointed if we have to go backwards with the Switch as the only handheld. When I get a Switch - assuming they ever stock the darn thing and get more games out for it - it's going to be in the dock 90% of the time because it doesn't fit in my pocket. That is not a handheld in my mind. 3rd parties call it a handheld because its too weak to be a console. So it's nicer to say, "the strongest handheld ever" rather than "the 5th strongest console behind the OG XB1 and PS4 and weaker than their successors"
My suggestion for a 3DS successor? NES Classic Switch Edition - take the NES classic innards and shove it in a Switch with 2 remodelled Joy-Cons. It won't have the nostalgic charm of a mini NES box by the TV, but it'd be cheap and wouldn't detract too much from the Switch's target audience. A 2nd gen Switch will no doubt be released in a year or so just like the yearly updates manufacturers do with phones and tablets. The 1st gen switch and 2nd gen will play the same games and be compatible with the same phererials but the 2nd gen will have better resolution, faster etc just like what has happened with android/iOS. The 1st gen will get a price cut making it a good entry level system and a succesor to the 3ds. Nintendo already stated ages ago they would like to go the same route as android/iOS. Whilst the Switch is doing well so far as a sucessor to the Wii U, its ability to go portable means its enroaching on the 3DS territory. Personally, I'd like Nintendo to bring back a tiny portable console reminiscent of the Gameboy Advance. It would be small and cheap (well compared to the Switch). Maybe even some cross-play with some of the Switch eShop titles. Mobile, because you can buy the games on a device that you already own (meaning that you don't have to buy any new hardware), represents the cheapest option - reaching the widest possible audience..
Switch is perfection for a handheld gamer like myself who loves consoles, just upgrade the hardware after a couple years without forcing us to rebuy our library and that'll be fine. @Daz-brum, I hope not. I doubt that the next 3ds will be more powerfull than switch, so, why buying another console? Just for a gimmick like "VR" or something like that? It is a waste of money for us. Price of older silicon falls all the time and Nintendo are competing with other manufacturers to buy the same tech , as companies move on to newer tech the price inevitably falls which means Nintendo can make the switch cheaper , this happens all the time. @mattmayatt Yes, but the cost of manufacturing a Switch is so high that Nintendo barely make any profit from each unit sold - so, for a cheaper, mid-tier 'Switch Mini' option to come in at roughly half the price of the Switch (to fill the DS's place in the market), they'd have to also cut the manufacturing costs in half for them to make it worthwhile...that simply won't happen any time soon - sure, the cost of each component will drop slowly over time, but to those sorts of levels? We're way off..
Any chance they could make the hypothetical Switch Lite able to play 3DS cartridges? @NaviAndMii I think the design of the Switch offers a lot of opportunities to shave off a significant sum off the manufacturing costs. 1 - Cut the dock. It's probably not too expensive to make but it adds significantly to the bulk and transport costs. 2 - No detachable joy-cons. This would offer significant cost savings but I think the biggest problem with this is that the younger audience is the one that would benefit most from "play anywhere" multiplayer. 3 - Smaller screen. Not necessarily much smaller but cut 15% off the screen real-estate and one of the most expensive components in the device is suddenly much cheaper. 4 - General improvements in chip manufacturing. Even just an improvement in power consumption would allow costs to be cut because the batteries could be made smaller without sacrificing anything. Of course the bigger challenge in pricing isn't related to manufacturing costs - it's about the ability of Nintendo to market a "Switch lite" as a budget option alongside the actual flagship Switch. Iwata said the long term plan was to have one software platform for all Nintendo games, but possibly different hardware variations. I think it's possible they make a "Switch light" that is smaller and only supports the handheld mode. My switch is a portable that I can hook to a tv. It is mine and my 3 boys are not allowed to use it without my permission. I know there will be a switch under the xmas tree this year for them with Mario odyssey. In a couple years I can see them having their own once they stop using their 2 3ds'. Our Wii U and it's 300+ game library is our real console. But my switch goes to work with me daily since I have an hour for lunch. That's 45 minutes of gaming. Almost forgot, we have a dusty PS4 that 2 of us use occasionally. I see switch being like iPads but for gaming. A bunch of versions and sizes lying around house. All can play same games, mostly. @NaviAndMii sorry mate but I just don't agree , a year is a long time in tech, of course Nintendo can make the switch cheaper in a year or so. Like others have said they could make the screen smaller , no docking unit etc. Don't forget they are using off the shelf parts from Nvidia , I expect Nintendo could probably get the switch to £199 at some point in the not to distant future. Nintendo has always had issues with first party development for 2 systems. This always meant one console or portable had games getting to market sooner. This caused a serious lack of first party titles for Wii U. By the time Zelda came out it also came out on the switch. In that time they released multiple Zelda titles in the 3DS, as well as many other First party titles. Point is now they don't have to split up internal development so they have more resources to dedicate to a single console and pump out more first party titles. Nintendo just shouldn't be afraid to still make traditional portable style games for switch. I'd still play a Link to the past style title while waiting for the next main Zelda title, that was kind of the point with 3DS for me, playing games while waiting for the next main entry. I hope they don't shoot for a 3DS successor, but keep the hybrid style and iterate. Make this the definitive Nintendo console, and start making souped up versions in a couple years that have a 1080P screen and play portable games at TV graphics levels, and create 720P versions that have more efficient chips and a battery that goes for days, and then when Switch 2 comes out, it is backwards compatible, and the old switch forward compatible much like traditional tablets... Eventually sporting chips that rival Xbox One and PS4. By then they still won't be competing with PRO or X graphics. The GameCube was the last system Nintendo tried to compete in a power level, and they have since dropped the now you're playing with power mantra. Plus you have to consider that the Wii U failed, so Nintendo is leveraging this hybrid console to get back into the console side with the ultimate realization that they are actually competing with Apple, Samsung and Amazon more than Microsoft or Sony. It doesn't make sense to launch another portable when they have a tablet. @DragonEleven 3DS launched at the same price as the Switch! The portable was actually not recommended for children under 7. Later they dropped the price, and eventually came out with the less expensive 2DS model for kids. So I expect Nintendo will take that approach in a few years when they can bring the cost of hardware down, and bring a new Pro or XL version out to keep a higher end model on the market like they did with the DS lines. I like my Switch. But it just does two things well. For a handheld I like my 3DS and Vita better, and for a home console I like my Xbox One better. If it wasn't for the Nintendo exclusives, I would not own a Switch. @StuTwo Yeah, all true ..so long as any of the 'shaved' components don't cause compatibility issues with games, a 'Switch Lite' could definitely work - especially for kids and casuals.. I just struggle to imagine how they'd shave off $100-$150 off of each unit to actually make it cost effective - whilst still keeping its identity as a 'Switch'...but, hey, they've got far cleverer people than me working for them - so maybe they can figure something out! ..it just wouldn't surprise me to see the 3DS range still kicking about into 2019 (perhaps beyond?) - when the cost of each Switch component has dropped, meaning any 'Switch Lite' would have less features shaved from it - cheap enough to fill the 3DS's place in the market, good enough to be able to take the Switch name. @StuTwo I imagine they will take the DS approach.. A 2DS that is kid friendly, that is your single smaller model with no detachable joy cons. They will also go with the XL model approach with the same concept. Also I see them releasing a Switch TV model that doesn't have a screen at all eventually. @NaviAndMii Yeah, maybe limping into 2019 with the 3DS is their plan. It would make a lot of sense if they can't get the price of a "Switch Lite" low enough. Or maybe they'll sell a "Switch Lite" but at a slightly higher price with a game (Pokemon or Mario Kart 8) always packaged in? The GameBoy Classic Edition (that must be coming at some point) is something that might also be influencing their handheld strategy. Why still calling the Switch a portable when it clearly is and was a hybrid? 🙄 I use mine about 80% as a homeconsole and the rest as a portable and I don‘t get what features it‘s missing to call it (also) a homeconsole? From a gameplay perspective, it offers even more than the other consoles from Sony and Microsoft. I think there are so many things they could do though and that's the real joy that the technology and approach Switch so far has brought them. They can pivot in half a dozen very distinct directions - make an ultra cheap 480p screen Switch for instance or go completely crazy and make an ultra powerful home console only version of the Switch. Or just about anything in-between. I really think the ability to position their range of devices in the market though without compromising what has been - so far - a very clear and focused message is perhaps a bigger challenge than getting the manufacturing costs down. @SLIGEACH_EIRE If you're ever fortunate enough to own a Switch, you'll realise how wrong you've been for constantly calling it a handheld. @Meuz No I won't, for I am right. I hope 3DS gets a true successor it is my all time favorite system I love the 3D effect AND the compact clam shell design of the system though it would be awesome if they added a stereoscopic 3D screen to an upgraded Nintendo Switch. I think any mobile device now needs to be targeted at a low price point. I could see the 3DS range continuing as a budget option - keeping dev costs low and as a system that you could afford to buy children. If not, then there is no point for having the Switch as your premium device. @MinecraftGreek The 3DS was heavily overpriced at launch, with an estimated production cost of only $100 compared to the $250 price tag... but that resulted in poor sales, which led Nintendo to cut the price within six months. The Switch on the other hand, has an estimated production cost of around $250 compared to the $300 price tag, so it's unlikely they'll drop the price by much, if at all... not that they have to, seeing as how well it's still selling. Also, it wasn't the console itself that wasn't recommended for under 7's... it was just the use of the 3D effect (they were advised to use it in 2D mode only)... and there was no medical evidence to support that... it just seemed to be a precaution on Nintendo's part. Removing the 3D effect from the 2DS did cut the price, but it wasn't an essential feature of the system... there is nothing like that in the Switch that could be removed without substantially altering the operation of the console. @MrBlacky Ignore the troll(s). If someone keeps repeating the same debunked, unstructured "arguments", you know they are just craving for attention. The WiiU will be done with updates and eshop games by xmas this year. The 3DS will truck to xmas 2018. The Switch will be Nintendo's console until 2022 when a major upgrade with the Switch name will appear. There are 3 Switches in my house, so yes, multiple Switches will be sold per household because Nintendo offers games and portability noone else does. My dream come true would be the same as the 2DS xl with an iPhone on the back of thr top screen. Or some variant of that. Phone and 'real' games all in one pocket size package. I'd be set. I know it won't happen but hey it's a dream. @DragonEleven if they made it a little smaller and Incorporated the joycons into the device they could drop all the batteries and wireless radios that make that work. They could also drop the TV dock for that model. They could advertise it as a kid model. Well, the WiiU and 3DS together haven't even reached the 100 mill units sold. If the Switch keeps moving hardware this fast, I don't doubt is going to get up to over that number. Specially since we will have in the same console games like Pokemon RPG or Animal Crossing, and Super Mario Odyssey or Metroid Prime 4. Wouldn't a new portable mean splitting resources? Wasn't that the problem with the Wii U? Trying to handle HD development, while still making games for the 3DS? I thought the whole purpose of merging console and portable developers in Nintendo and creating the Switch was to change all of that. I remember people being so excited when they made that move. More game releases, was what got so many excited, if I remember correctly. Now people want them to go back to how it used to be. Sure, they still make 3DS games, but they've got that down now. The hardware is old. Regardless of how great the entire DS line has been, I don't see why many would want another, when you've got the best of both worlds in the Switch. And in HD! It hasn't even been out a year yet, and people are already talking about, and hoping for, a DS successor. @SLIGEACH_EIRE You've never been right about anything on here. I love the 3DS (and the Game Boy line), but I'm still hoping that Nintendo is merging everything into one with the Switch and there is no other portable successor, so they can be entirely focused on making it the best of both. @Meuz That statement is false. I could see my family getting more than one Switch to play Splatoon together. I know there was a time, and I am kicking myself now, that I wanted two Wii U's to play Splatoon online with my son. I just wish I could buy one where I am. I hate Nintendo almost as much as I love them right now. This was something Iwata hinted at when he first dropped news about the NX. Quite frankly, it is something that needs to be done. As Nintendo's third party support has eroded away over the years, they needed their own software to support the systems instead. Obviously, we know how difficult it can be to get software out at a steady pace. Nintendo's resources were consistently stretched to their brink, especially in the Wii U and 3DS days. There was a constant dry spell for at least one of the systems at any given time. Merging the platforms just makes sense at this point. We'll see what the future brings, but for now, I think Nintendo is going to continue down the mobile path, since that's what they've been king of since the Gameboy. @SLIGEACH_EIRE That's an interesting take. I agree fully the 3DS is on its last leg, but I hadn't really considered a direct replacement to the Wii U in the near future, but I don't see why not. They could just use the opposite marketing strategy as they do now, which seems to focus on the home console aspect. They could just switch marketing strategy and highlight the fact that it is a portable and the new device is their home console. @xboxfanuk those mostly into touch screen experiences, maybe. In the genres that can't rely on touch screen controls, mobile phones remain starkly inferior because of the manufacturers' eagerness to ditch as many buttons as possible. And mobile gamepads are the very kind of extra cost that Switch-themed complaints would make you think gamers loath nowadays (even before we discuss comfort and compatibility topics). I am hoping for a new version of the Switch that is ultimately more portable after the discontinuation of the 3DS/2DS. They could possibly design a form factor of Switch with a smaller foot print and without the removable joycons. If it played the same games but actually fit in my pocket it would be amazing! @roadrunner343 but after the flexibility Switch offers, what selling point would a new strictly house-arrested Nintendo console have to boast over it, exactly? Mere specs hardly count, being Sony and Microsoft's tug-of-war blanket Nintendo shows no willingness to grab an end of. I'm surprised nobody has put this picture up yet. This is what everybody is describing here when it comes to making a cheaper kid friendly alternative. @nhSnork It would almost certainly be a return to competing in high end hardware. I'm sure whatever they did would have their Nintendo twist on it, of course, but the main differentiation between the Switch and another home console (Especially 2-3 years from now) would be a drastic performance leap. @Fooligan That thing would sell very well indeed. @roadrunner343 I wouldn't necessarily rule out them doing something like that (because Nintendo is crazy) but there are a few major obstacles to them achieving success that way. The biggest is that the marketing approach of Nintendo, the consumer groups who they are able to successfully court (due to the appeal of their own games), their core strengths and strategies from a retail point of view, their approach to online... all of this is counter to the strengths of the major third parties like EA and Activision. Of course without eager full bloodied support from those AAA 3rd parties a powerhouse console is dead in the water. So even if Nintendo had a console which was equally/more powerful to those from Sony and Microsoft they'd have more than just an uphill battle. Unless Microsoft decides it's not worth the time and money to support XBox anymore and they get out completely or Sony get their wings severely clipped by their internal organisation I think that anyone (including Nintendo) challenging the dominance of the PS4 in the home market is up for a paddling. @MsgBoardGamer Why do you start so argumentative? Why don't you read my original posts to see what "new device" I was referring to? Why do you assume that just because @SLIGEACH_EIRE has a negative opinion on the Switch in its current state, he can't have some interesting ideas that I wanted to discuss further? No matter how you slice it, the Switch is a portable device. Indeed, it basically is as simple as a device with an AV cable/Dock unit included in the box. The only real innovation is the detachable controllers. Still, there's no way you can argue that it isn't a handheld device. None of that has anything to do with whether or not it is the Wii U successor - I never said otherwise. My whole point was, Nintendo used the strategy of marketing the Switch as a Wii U successor so hard because it is a portable device - they wanted to make sure the message was clear that this is their new home console. My point being, should they choose, they could easily flip-flop on that stance in 2-3 years time and market Switch as their portable/hybrid, and market a new device as a home console. @StuTwo Definitely an uphill battle. I don't see them releasing a console on par or more powerful than whatever XBOX/Playstation comes next, but I think it would be a good idea to be relatively close so they can attract even more third party support. At E3 Nintendo announced that the next mainline Pokemon game is being developed for Switch. Nintendo is clearly aiming at having only the Switch as its main console, while the 3DS now fades away. It is a risky move for sure, but I think it is the right one to take. @MinecraftGreek What you're proposing would basically just be a new handheld console that has partial compatibility with the Switch. Any games that were designed specifically for TV or tabletop mode would basically be worthless, essentially creating a separate library for it, and without the ability to switch modes, you couldn't even call it a Switch any more. Plus, as a handheld, the Switch has a fairly short battery life, so would really need a higher capacity battery in order to make a proper handheld-only version, but that would just increase the price once again. @Meuz Have to agree with @SLIGEACH_EIRE, It's pretty clearly a handheld. And I say that as someone who as admitted the Switch will likely be my favorite console of all time. It is clearly a portable device with a dock. That concept alone isn't even new, Nintendo just perfected the concept and the ease of Switching. The whole "hybrid" nonsense is just marketing. Either a device is portable, or it isn't. The Switch is portable. It just so happens to have a really cool and seamless dock experience. EDIT: @DragonEleven Are there any games that can only be played in docked mode? I don't think so, so that part wouldn't really be an issue. As for battery, I use my Switch undocked 80% of the time, and it's not that bad. Of course, I would always like more, but a new device with a smaller screen (Perhaps new components) may improve battery life anyway. I would think from a business perspective , a more powerful handheld- than the 3ds - that can use its cartridges. What's the current maximum storage size for a 3ds cart ? A new system around 150 that uses maybe enhanced 3s type catridges as well backwards compatibility . Otherwise they are going to need a new type of medium that would cost a lot . A more powerful type 3ds console with graphics some where between wii and switch , which can handle cartridges up to say 4gb. Battery life of 6 hours plus , drop the 3D and maybe have a new feature (but what) and retail new £150 . No idea if this is possible but that would be the ideal 2 console plan . With switch connectivity maybe . I don't think the switch is seen as a 3ds replacement , and if this is so they have a 3ds replacement well underway . I would of thought Nintendo would be keen to have a portable only 2nd product to go along with the switch , as it guarantees a bigger user base, they have always been successful in the handheld market and also means that going forward there is less risk if one of the platforms is less successful ; like what happened with the wii u . This is pure speculation obviously and try to second guess Nintendo is impossible , but I would think that not having a replacement may be a mistake in the longer run. Maybe a Nintendo type smart phone which initially only releases in Japan that is a small but capable games device . They seem to succeed or at least always go with , new , completely different ideas than just a more powerful successor . Maybe e3 2018 we will see something or the year after . @MegaTen Being able to use it as any other console on the market isn't really a great argument though - I can dock my laptop, connect my phone/tablet to the TV, etc... That doesn't mean they magically become a hybrid or a home console. Don't get me wrong - I love the Switch, and I know several people who to them, the Switch is used almost entirely as a home console. And that's fine, but the device itself is still a portable. Even though Nintendo is currently marketing the device as their home console (Which is a smart move right now, to preserve 3DS sales) I don't think it's much of a stretch to think they may flip-flop their marketing strategy later on down the road, especially if they make a smaller, cheaper version of the Switch. @roadrunner343 I'm not sure Nintendo could attract the 3rd parties back even with a home console that has full power parity/advantage though. At least not EA, Activision and Ubisoft - i.e. the 3 that really matter. There are just too many major differences in marketing approach and target audiences. Just the fact that Nintendo's business model is built on keeping the price of games high over long periods of time clashes dramatically with that of EA, Activision and Ubisoft who want to make big sales in the first month and then slash prices after 6 months. And of course there are long established financial relationships between the big publishers and Sony and Microsoft. If Sony or Microsoft were to back away either completely (in the case of Microsoft) or away from marketing agreements/support (in the case of Sony) and Nintendo were willing/able to step in then maybe the big 3 publishers might be more inclined to support a powerhouse Nintendo home console but there's a lot of "if's" in there. Creating a very cheap "Switch TV" that's basically a super powered Ouya with real AAA 1st party support is a much better and safer option for Nintendo if they want to release another home console. @roadrunner343 It is pretty clearly not simply a handheld. If you analyze it objectively, you will see differently. Now that I think about it, perhaps the reason Nintendo is keeping the 3DS alive for another year or two is because they are waiting for the economics of hardware to come down to a level where they can sell a smaller Switch at a 3DS-like price point. They never said it would be the next Pokemon game... they actually said it was likely years away from release, so there could easily be other Pokemon games released before them. They also never said it would be part of the existing series... they said it would be a core title, but made no reference to the existing series, and a franchise can have multiple series at it's core. Looking at the bigger picture, GF have almost doubled in size in recent years, so now have the capacity to have two major projects on the go at any one time, putting them in the perfect position to expand the Pokemon franchise with a second core series of games. I‘m sorry, but you are wrong! Unless you are saying „for me“ it‘s a portable, because you use it exclusivly that way? For me, it is mainly a homeconsole with all benefits which a solely portable device doesn‘t have! @roadrunner343 For example, you can analyze it in terms of features. 3) Played while holding it in ones hands. The Nintendo Switch has all of those features. That means it inherits qualities from both consoles and handhelds and is thus a hybrid. EDIT: Sorry @roboshort, just saw your second reply. By your first definition, my cell phone, tablet, and laptop are all home consoles. Again, I'm not denying people use it that way - and the Switch's flexibility is what makes it so awesome. However, it is still a portable console. That part, is impossible to argue otherwise. The only real argument is whether or not it is also a home console. And that's the part I am saying is nothing more than marketing strategy, which Nintendo could change if they chose to launch a dedicated home console. I doubt Nintendo will ever go back to one screen again with their dedicated handheld line, if anything they'll make a 3DS successor that will be gear towards HD and probably 4K. I think the Switch is just the stepping stone for the HDS. To fully use an HD screen for handheld, Nintendo had to test the water first with a product and I believe Switch is that product. Now I'm sure Nintendo making a dedicated handheld with 720p HD would take a few thunder away from the Switch but I think there are still some games that could benefit on that handheld that couldn't simply not make sense for Switch for examples games like The World Ends With You, Final Fantasy Crystal Chronicles, and the Layton games. Also about Pokemon coming to Switch, that too is also them testing the water. Maybe it will work and maybe it won't but that would be interesting to see since Game Freak had never made a full blown Pokemon console game before and Pokemon games usually never cost more than $40 so putting a Pokemon game on console will rise its price from $40 to $70 meaning if there is two versions like they do the handhelds, you'll have to pay $140 to get the full experience since both will had minor differences. My guess is that trading and battling with another player will be done through online, probably through Nintendo's not free online service that they are attempting to launch next year. There is really no point to a 3DS successor. How powerful would it really be? It would be asinine to have a dedicated handheld 3DS successor that is more powerful than the Switch, especially if it wouldn't have the ability to play on a TV. The Switch is a portable powerhouse that's more powerful than a Wii U. It is more versatile than a limited dedicated handheld. 2 screen gameplay was never a necessity just a minor convenience most of the time. I think the idea of a dedicated handheld successor is pointless. @roadrunner343 It's only because Nintendo are such masters of console design and they've managed to fit all that power into a portable unit that people are getting confused. It's a true hybrid console - not a home console or a portable. Nintendo have changed home consoles forever with the Switch. It's roughly half as powerful as an Xbox One/PS4, but it's only a fraction of the size. The days of standalone consoles sitting under the TV are coming to an end. In the future there will be only PCs and hybrid consoles. Watch this space. "The more we use the Switch the harder it is to get away from the sense that it's being positioned as a portable"
I can't really agree with that logic. I think it's being positioned as a hybrid. Exactly as the article itself discusses with the quotations. It's no more a dedicated portable than it is a dedicated tv console. That's the point. The fact that it's so darned EXCEPTIONAL as a portable, though, always makes that a strength to highlight. There's this weird push to compare it to prior handhelds and prior consoles and declare it "more one or the other" when the whole point is they don't need to be grouped as one or the other anymore. It does both, it's just that it's decidedly average in the TV role in order to facilitate being exceptional in the portable role, while remaining competent at both. @Meuz "'s roughly half as powerful as an Xbox One/PS4, "
Much more than half. Even WiiU was more than half. @NEStalgia The Wii U was nowhere near half as powerful. It was barely more powerful than the 360/PS3. Agreed, at least in the Switch's case. Not to get too nerdy but for games, the Switch uses 3GB of RAM and Xbox One uses 5GB of RAM. Xbox One performs at 1.3 teraflops and the Switch performs at 1 teraflop. So I'm inclined to believe its performance is marginally close to an Xbox One, definitely more than half. @SLIGEACH_EIRE No, you're not. You just think you are. @retro_player_22 What you describe is a Switch successor, not a 3DS successor. They can't just replace the Switch in a year with a new 3DS that's better than Switch. They do that, we throw our Switch in the bin with Virtual Boy, 32X, and Saturn and declare Nintendo's game over. Layton has gone mobile. It would work fine on Switch. There's no port in making a new handheld for games like that that just as easily go on mobile. I honestly don't understand why people keep insisting that there will be a 3DS replacement. Of course there will! It's called Switch! I understand people want a smaller system, and there's plenty of room to do that with Switch (though an HD screen at a smaller size might be pretty problematic to see the smaller game fonts/Ui elements etc.) just as different size 3DS's have existed. And I understand backward compatibility with 3DS games is a concern (maybe running the screens side by side would work. Could maybe pull off original 3DS sized displays. But ultimately, nothing about Switch doesn't scream "this replaces 3DS." That's not a bad thing. I don't think there needs to be a war between Switch fans and 3DS fans. As a HUUUGE 3DS fan, I'm extremely happy with Switch as the next model. If they called it 2DS-witch, I'd feel right at home with it. Other than having a second screen (which after WiiU is not going to be a priority...) there's nothing a "NEW New 3DSx2" could be other than more or less the same machine as a Switch. The point of the DS was to keep the handheld development costs down way below console budgets to foster different games. An upgraded 3DS is....a Vita. And Switch already bests that by miles. @Meuz Poor WiiU is just so misunderstood. It was so much more powerful than it was ever given credit for. Less powerful than Switch, sure, but more powerful than it was even given credit for thanks to the near-universal poor optimization on the machine because nobody felt like dealing with PPC anymore. @MsgBoardGamer I'm all for debates/arguments, but now you're just arguing for the sake of arguing. My original comment did not accuse you of not reading - I told you to go back and read my original comment on the "new device" we were speculating about. The fact is, you took an argumentative stance from the very beginning, simply because someone you don't like presented an idea I found interesting. And if you agree with the "No matter how you slice it, the Switch is a portable device" then why are you so upset about it? That's my whole point. Take a brief read through the comments and there are others that seem to argue it is not a portable, but a home console replacement, or a hybrid. The only point I'm trying to make, is that being portable is something a device is or is not - there's no debating that. And in this case, the Switch is a portable (Which you seem to agree with). The hybrid talks are just neat features and great marketing. It's not the first device that could be docked/connected to the TV, but it is definitely the most seamless. Many people use it as a home console only, and Nintendo is currently marketing it as their home console - but again, we were discussing the theoretical possibility of a standalone home console in 2-3 years, in which case I can fully see Nintendo changing their marketing strategy to focus on the Switch as their dedicated handheld device. @Meuz From a strictly hardware specs perspective, there's nothing overly amazing about the Switch. Other mobile devices are just as powerful and are also contained in very small form factors - typically much thinner, but larger in surface area. The only true innovation in my opinion is the detachable controllers, and the software design - the ability to switch so quickly and seamlessly between portable/docked mode is amazing, as well as being able to suspend your game and jump back into it in a second or two, but there's not too much that is overly impressive about it from a hardware point of view. As much as I love the 3DS, it makes more sense at this point for Nintendo to continue turning their full focus towards the Switch. I don't want them to drop the aging portable like cold turkey (that would be foolish due to the current install base), but to drop off support over time like with the DS. @nhSnork The consumers have spoken and there just isn't a big enough market to continue to support two dedicated game devices. The convenience of a pocket device like the 3DS has been replaced the more convenient smart phone. Even though it has drawbacks. Only smaller kids are carrying a dedicated handheld anymore. And that is not something Nintendo wanted, it is something the consumers wanted. The Switch now offers a powerful portable console experience that sacrifices some of the smaller sizes and convenience of the 3DS but offers a single device and game to purchase with HD visuals. For those kids/adults who want an in pocket gaming platform it is going to be a smart phone/tablet from now on. Them launching a 3DS successor would be utterly pointless and lead Nintendo into trouble. They need to be concentrating their efforts on on ecosystem, even if the switch gets plenty of variants. I don't believe for a second such a thing will happen. I hope the Switch doesn't see many hardware revisions, but I know it will. Maybe a home and go model 2-3 years down the line, but that's it. The screen size is near perfect, but making it smaller might pose some challenges. Zelda is hard enough to see and appreciate as it is. Just focus on the Switch and the games. No need for a 3DS successor. I do think they support the 3DS through 2018 to keep the budget/entry level option open until the Switch can see a price drop. @PorllM The PS4 is already close to eclipsing PS3 numbers. The Xbox was on pace with 360 sales, but I'm not sure if that's still the case. The Switch is selling fast and mobile gaming is cooling. I don't see why this gen can achieve a similar level of success. I sure hope the 3DS doesn't get a successor. The switch's design is by far superior. Especially with how it uses bluetooth. When my 3ds's controls wear down or if it turns out to be lacking buttons or needing another joystick, I either have to buy additions, pull the thing apart to replace things, or buy a whole new one. With the switch, I can just buy a new set of overpriced controllers. @Turbo857 The Switch is 1Tflop while docked, but .33 Tflops in portable mode, which is a core feature. Devs will need to consider that when making games for it. Switch will be the only thing going on eventually and I'm totally ok with that. @SharkAttackU Sorry I think I wasn't clear, I wasn't suggesting for a second that a system this generation couldn't sell more than one last generation. In fact with PS4's runaway success and Switch's early movement I think that's guaranteed. What I meant was in regards to a company having a home system and a handheld at the same time and do incredible numbers with both, like what happened with Wii and DS. Sony tried recently and the Vita died but the PS4 lived, Nintendo tried recently and the Wii U died and the 3DS lived. Sony adapted to this by killing the Vita, Nintendo adapted by combining both into the Switch (and killing the Wii U, although of course that had it's own problems). It's just too much of a massive constraint on resources to keep providing games for both at once. I think Wii & DS only managed it because 1: motion controls were new and shocking to people 2: phone gaming wasn't a thing yet making the DS much more viable and 3: the majority of Nintendo games at that time were very low budget and low resources, e.g. Wii Sports and Brain Training. For Nintendo to keep being successful and create a worthwhile library in 2017, the end of the "two punch strategy" and combining all their software into one system was a no brainer and a necessity, in my opinion. I think the only way Sony will ever have a successful handheld again is if it was a handheld PS4 with the exact same games library. if you think about it the Vita did ok at first but had almost no first party games. Once the PS4 really kicked off this became absolute zero, because frankly, the PS4 was selling so well they would have been idiots wasting time developing Vita games. This is why switch is such a great idea, you develop one game and have it as a handheld or home experience, whichever the customer wants at any given time. I'm sticking to what I've said since the Switch was announced that Nintendo has indicated to us that the Switch's purpose is to be an all in one (home and portable), ending their separate home and portable console strategy. However, the "business" is what will ultimately drive Nintendo's next moves. But for there to be a successor to 3DS, the Switch MUST be more successful as a home machine, and if the 3rd parties interest is any kind of barometer at the moment, then they are much more interested in the portable side of Switch first, home console second, which would make it tougher for a 3DS successor to emerge. Heck, even Nintendo may eventually adopt the "Switch is portable, and guess what?! You can play it at home!" strategy down the line, depending on their fortunes. Too early to call it. @MsgBoardGamer Again, that's not what was said at all, and if you would read all of my comments, you would see I acknowledge it is used by many, and is currently heavily marketed as, a home console. My only comment on being a portable or not, is that is a very simple, binary, yes or no answer. There are many that argue otherwise, stating it is not a handheld - when that point is plain as day - of course it is a portable, which you've also agreed with. My original comment is not based on any sort of fallacy. It's merely based on the fact that no matter how Nintendo or anyone else spins it, the Switch is a portable device - along with all of the drawbacks that come along with being a portable. My original comment was just in reply to @SLIGEACH_EIRE's speculation that a dedicated home console successor could appear in the next couple years. I'm not arguing that it will happen - merely discussing that I find that to be an interesting topic, and should Nintendo choose to do that, they could easily spin their marketing to highlight the fact that Switch is portable, and now they have their new, more powerful home console. Just like they insist now it is not a handheld, 3DS replacement. They'll change their marketing strategy when it is beneficial to them. If I were to make my own guess, it would be that we see cheaper portable only and home only versions of the switch. That would keep one big ecosystem and allow Nintendo to focus solely on Switch. That doesn't mean I don't find discussions about potential future consoles or handhelds interesting. EDIT: I've never refused to acknowledge that it is used as a home console, or that it is a "hybrid" - merely just that those things are nothing more than marketing lingo. The same functionality has been around for years - Nintendo has just made it easier, and more convenient to Switch into docked mode. Again, that doesn't change the fact that at it's core, the device is a portable device. Once again, that has very little to do with the original discussion though, which was the possibility of a more powerful, dedicated home console in a few years time. @roadrunner343 Which mobile SOC is as powerful as the Tegra X1 (other than the boutique/industrial X2) and supposedly AMD coming out with a competitor to it soon-ish? The Shield Tablet is the only real hardware competitor (also TX1), but it's running a heavier weight OS that bogs it down. Thus far it's the only mobile SoC that requires (and supports at all) active cooling. the whole platform was designed as a bridge between PC hardware and mobile hardware. That's not Nintendo's genius but nVidia's. But the point still stands that it does stand well above normal mobile hardware, regardless which company is responsible for that. @NEStalgia The Tegra would be the only real example that comes to mind at the moment. Others are more powerful from a CPU perspective, I'm not 100% certain on the GPU front. I think the more recent Snapdragons are very close. Still, the Shield Tablet, while bogged down by an OS like you said, was as powerful 3 years ago. So while the Switch's hardware is nothing to scoff at, and it is impressive what they crammed into the form factor, I don't find the hardware specs to be revolutionary. The only guaranteed this: It's Nintendo, tell them what they're going to do and they'll do something completely different. Every time. Iwata pretty much said as much before he passed away. It's about synergy now. Different sized devices that play all the same games (like an iPhone and an iPad). ie. There will most likely be a smaller, more portable version of the Switch at some point. Switch/Switch Mini plus Mobile should have it all covered. A very elegant solution imo. I fear the people who are counting on a 3DS successor, who think Nintendo is going to pursue 3D after the 3DS and dual screens after the Wii U, are going to be in for a rough time. 3) Nintendo can alter the Switch's design (no dock, smaller screen, no detachable JoyCons, etc) to cater more toward the dedicated handheld gaming market in case the current Switch model doesn't suffice. 4) If Nintendo does want to launch a 3DS dedicated handheld successor, what would the "gimmick" be? Dual screens, motion controls, being a hybrid, AR, VR, glasses-less 3D, etc have all already been done before, so what now? Gotcha. Makes more sense. Yes, major game development is getting more and more complex. Gamers are getting more and more demanding. There aren't enough resources and talent to adequately support 2 platforms. I agree. Mobile gaming is here to stay as well. I like my Switch a lot. There's so much potential. Once Nintendo shifts most of their resources to focus on it, it will be great. At a hardware level, it's definitely more unique/impressive than you're giving it credit for. Nintendo doesn't really get the credit on that part, it's all nVidia outside the implementation, but still. A lot of credit goes to that. @Daz-brum Both 3DS and Wii U has already been succeeded by the Switch. It's a fact. @NEStalgia There will be a 3DS successor if the Switch fail though. Third parties are still on the fence in supporting it and not many had jump on board the Switch yet. Until Switch can prove that it could keep the money coming and the third parties interested, Nintendo ain't pulling out that 3DS plug anytime soon. @NEStalgia Thanks for the correction, you're right - I definitely forgot that was a K1, not X1. I sold my Shield tablet about 2 years ago. I still don't feel the Switch is overly unique/impressive - but that's fine I guess. I don't think they could have crammed much more in there (Unless they delayed for X2), but at the same time, I just don't think it is anything too revolutionary. It's what I would expect of a new, high powered mobile device. Not trying to discredit what Nintendo or nVidia have accomplished here - just stating that my mind is not exactly blown, it pretty much met my expectations exactly from a hardware perspective. Anything less would have been quite disappointing, in my opinion. @retro_player_22 I think it's clear Switch is not a failure. Making sure it doesn't fail going forward depends on making sure to move the software queue to it however. They were clearly hedging during launch, but I think we're safely beyond launch concerns and into solidifying the platform. The Pokemon announcement was kind of the official declaration of transition. NOW, for the first one I wouldn't rule it out being on both platforms, still, to maximize install base (and because cheap systems are essential for Pokemon.) But it's a statement of intent, that was no doubt heard around the industry. Nothing's bigger than Pokemon, and no doubt the execs at the third parties sat up and took notice upon hearing confirmation that Switch is now "the Pokemon console." I think they were on the fence before about what Nintendo's own intentions were, and concerned about launch reception post-WiiU. I'm not saying Far Cry and Madden are coming, but I think the 3DS pool of devs, mostly Japanese devs, have certainly received the message loud and clear. The Japanese sales charts help with that too when talking specifically about whether it can replace 3DS. But certainly they're not pulling the plug from 3DS yet. They'll milk it till it's dry. No reason not to! Which I like, because even though I like my Switch more, I do love 3DS. It was my most played console until Switch arrived. @roadrunner343 Fair enough. The big thing with Tegra though that flies under the radar behind all the flops is the x86 bridge. Done in software, be choking the whole system to intolerable speeds. There's no other mobile chip out there that can run X86 instruction at anywhere remotely close to the performance within the same thermal/power envelope (even if it could run similarly if ported to native ARM.) I think people overlook that part because it doesn't sell itself well to a consumer mindset. Tegra wouldn't be terribly special without that. @NEStalgia Honestly, I'm not familiar with this x86 bridge you speak of. Any links/articles you would recommend? Searching for Tegra x86 hasn't really produced any interesting results, but I wouldn't mind reading more. That's not something I've really heard much about when reading about the Tegra family in general. @roadrunner343 Off the top of my head, you might want to try searching for Project Denver instead. I think most of the "cool juicy new tech" articles would be from its pre-K1 Project Denver days. IIRC it came from their failed attempts at entering the X86 market directly. Intel patents were a nightmare to wrestle with so a dedicated hardware based software abstraction let them basically bypass the patent problems, and as it fell just when X86 was shrinking and mobile ARM was rising, it became a good chance to re-purpose the idea. You might remember Transmeta Corp and the Carusoe. Nvidia (along with Sony and some other companies) got some portion of patent rights out of their downfall. The Tegra idea is what Transmeta was sort of kind of trying to do with Carusoe, but the tech just wasn't there at the time, and the company too small to really handle it properly. @NEStalgia I do recall reading a bit about that quite some time ago, it was just a hardware abstraction layer of sorts to convert instructions from one set to another. Didn't realize anything really came of it though and haven't heard of an x86 compatibility layer in the Tegra family. Will definitely do a bit more reading. Thanks! @SLIGEACH_EIRE To me the 3DS has 2 more years left even though it's successor Mobile games has been out since last year. The Switch will get a dock upgrade in 2019 that allows it to play 4K games. @MsgBoardGamer You are incorrect. Again, re-read my comments - my argument is simply that it is, beyond a shadow of a doubt, a portable console. There are plenty of others that have said otherwise. Regardless of how it is used or marketed (Hybrid, home console, etc...) doesn't change that fact. That is the extent of my argument. The sole reason I mention that, again, is clearly stated in my first comment or two - it would be simple for Nintendo to shift their marketing to focus on it being a portable that can also function as a home console (Rather than the other way around,as they currently do) should they choose to bring out a dedicated home console. EDIT: You're also picking and choosing bits and pieces of what I said, rather than taking it into the context of the whole post. Again, if you aren't interested in discussing the possibility of a future dedicated console, feel free to ignore my comments. @NEStalgia I can't find anything indicating that the Switch (Or any Tegra SOC) has anything other than the ARM instruction set. I've found articles of them discussing the possibility of implementing some sort of hardware abstraction layer, but nothing that indicates it ever made it into a final retail product. Should you find something, let me know. @MsgBoardGamer Still haven't actually read my comments, I take it? Post #67 definitely alludes to it being their home console, and post #76, I outright say Nintendo went out of their way to make sure people got the message that this was their new home console. That's exactly my point though - It is only a home console because that is how Nintendo chose to market and position it. It's not a home console in the same way that it is a portable console - that is, there's nothing intrinsic to the Switch's design that makes it a home console. Which is why I believe, that should Nintendo choose do so, they could easily change their marketing to bill the Switch as a portable, with a neat docking feature, and market whatever new console they come out with as their more powerful, dedicated home console. Now, if you disagree and you think that there is something inherent to the Switch that makes it a home console, that's fine. At least on that point, we can agree to disagree. But for me, if there is something that makes the Switch inherently a home console, that means the NEC Turbo Express, Sega Nomad, Laptops, and Tablets, etc... are also all handheld/home console hybrids. As I've said, for sure, Nintendo's product is by far the best, easiest, and most seamless transition out of all of the products, but is that really what determines if it is a home console or portable? In my opinion, no. Just because it takes me 10 seconds to hook my Nomad up to the TV, and it only takes me 2 to hook up the Switch, does that make either more or less of a portable?. Again, I believe that the Switch is a home console firmly due to Nintendo's marketing, which they could very easily backtrack on should they choose to do so. On the other hand, no amount of marketing could change it from being a portable. @MsgBoardGamer I'm going to refrain from saying, just because you're being obnoxious now. If you're too lazy to read either of the posts that I listed for you, and you don't understand "I outright say Nintendo went out of their way to make sure people got the message that this was their new home console" then I don't know what more to do for you, and clearly you just want to argue about nothing. The 3DS successor is the current Switch. It wil receive a huge price cut to 200, sans the dock, and a souped-up version will be released at the same time, for 300 with an extra controller and the dock, or for 270 with just the dock. I suppose it depends on if Switch keeps the momentum going or not. The idea of Nintendo releasing a another purely home console is an interesting idea, one that I could see happening if MS abandons or finally sells off the Xbox brand. The Switch is both simultaneously a home console and a handheld. @MsgBoardGamer That post had nothing to do with anything. Once again, stop being dense and lazy, and read my responses, my answer cannot possibly be any more clear, you simply want to argue for arguments sake, rather than have a discussion. By your own definition, the Turbo Express and the Nomad are both home consoles. Regardless, how I or Nintendo define and market the switch, that couldn't be more irrelevant to the initial discussion - which was if Nintendo decided to launch a new standalone home console and market the switch as a portable. If you wish to discuss that scenario, or if the launch a 3ds replacement, I'm all ears. Otherwise, I'm done with this pointless conversation. Personally it's a portable system of a home system standard that also works as home system. Probably sometime mid to late next year will be a fully integrated handheld version. No separate joy-con or home connection. 3DS will then fade away. @MsgBoardGamer Your point number one is fairly subjective, but I think very few people would say the switch is built like a home console. It's built like a portable, with an included dock. So I think the nomad is a fair comparison. As for the second point, the same can be said about the Nomad and TurboExpress. In fact, if your criteria is mainly gameplay/mechanics conducive to TV play, I would say that applies to them more than the switch. Undoubtedly, more time is spent ensuring games and their UIs work equally well in portable mode for the Switch. No such considerations were made with the TurboExpress or Nomad, making some games almost unplayable portable. In the case of the nomad, that may influence you to use it even more like a traditional home console. Obviously I'm not saying that is a good thing, just that the criteria you listed is flawed. When the nomad launched is irrelevant to whether it was a portable, hybrid, or home console. Alas, this entire argument is pretty irrelevant to the original topic, which is simply that Nintendo could easily market the Switch primarily as a portable if they decided to launch a dedicated home console. The one two punch is on Nintendo not the consumer. Limiting options and shrinking their offerings will starve them of life and profits. Not my problem. When 3ds is officially dead, I'm moving on from Nintendo. Not interested in the overpriced and underwhelming Switch Glitch. Switch is the 3ds successor. Switch got a 6.2-inch LCD Screen. Samsung Galaxy S8 screen is 5.8" and 6.2". So thats the new standard. I miss Gameboy (not micro) but we wont have a new one. Anyway we can live without the second screen or 3d gimmicks. Edit: I would still like a Wii-Station Nintendo-Sony collaboration. It will never happen but would be good for the consumer if they both agree to join forces and share profits. We need MS to keep up, competition is good for consumers. Apparently, Nintendo will no longer detail the revenue split between their home console and handheld businesses in their financial reports, due to the "launch of the Switch." @MsgBoardGamer Now we're getting somewhere - at least we're somewhat on topic. We can agree to disagree on #1 - like I said, it not like any console I've ever seen. If you're calling the "dock" a console, sure, it is designed to appear like a console. But the system itself it most definitely a portable, inside and out. But on to the part that is actually relevant to the topic - marketing. Nintendo wouldn't need to walk back on their marketing. They don't need to start sabotaging everything they did - it would merely be a shift in focus. New marketing would focus on is as a portable console, that can also be conveniently docked. That doesn't negate the need for ongoing marketing campaigns or any past campaigns that have focus on the home console aspect. So yes, I do believe that would be a relatively simple shift. Marketing strategies and campaigns change all the time. We're also talking about a theoretical product in 2-3 years time - not changing marketing overnight. Unless you think there will never be another device (Except a direct Switch replacement), which is also entirely plausible, the marketing is something Nintendo will need to address either way. Either Nintendo releases a new portable only device, and they will need to market what makes it different/better for portable experiences, or they will need to market a new standalone home console device and what makes it better and why we should want it for home experiences. 1) People still debating whether Switch is a handheld or home console. It's both. Clearly. 2) People still thinking there will be a 3DS successor. Everything Nintendo has done (not necessarily said, but done) over the last few years indicates otherwise. The market realities-the portable console market struggling to support 2 machines, Nintendo struggling to support 2 machines and diversifying-indicate otherwise. Even some of the things Nintendo have said indicate otherwise. Yes there will be variants of the Switch but they don't want to be trying to support two platforms. Its too much of a risk financially. Their marketing at the minute emphasises Switch as a home console because they want to milk 3DS for another year or so and avoid 'ermahgurd Nintendo have left the home console market' headlines. After that they can easily reposition it as a hybrid, portable and the only place to play Nintendo games even without releasing further variants (smaller/sturdier portable, upscaling home variant etc.). There's no issue there and no need for another console. @roadrunner343 Again you haven't defined anything and are simply basing your judgment of feelings. If you want to say it is not a home console you need to define what a home console is. Otherwise your statement has no value. Of course the Switch is portable. I don't think anyone would deny that. But the Switch is clearly a hybrid because it possesses all the qualities we associate with both handhelds and home consoles. I can't understand why that bothers you or why you can't accept that. I don't want to see a 3DS successor, at the very least parity of games between two pillars would be nice. It's such a drag to have to play all 3DS' games on that tiny screen. I have a T.V. for gaming damn it! @roboshort I would say to re-read my posts #67 and #76 - I never say the Switch isn't Nintendo's home console. It also doesn't bother me and I have no problem accepting that. This conversation has gone on entirely too long, so I know there's a ton of posts to go through to get the whole picture at this point, but my point was only ever that by design, the Switch is inherently a portable console, while I don't think there is anything inherent to the Switch that makes it a home console - that is marketing / product positioning. You are free to disagree with that, but that doesn't really change anything for the original topic we were trying to discuss, which was what if Nintendo re-positioned Switch as their primary portable and launched a dedicated home console. @electrolite77 I don't disagree - that's exactly why I have said they emphasize the home console aspect as well. But it's also why I believe they could (Could, not will) fairly easily change their marketing focus on the portable aspects, should they decide to launch a high power, dedicated home console. I think it's an interesting point to consider. My gut feeling is that we will see hardware variants of Switch(Portable only, possibly home console only), and no direct successor to but who knows? Nintendo, you can release whatever you want, but please don't make Switch lifecycle like iPad/iPhone. I want this thing to last for a few years, and absolutely don't have the money to buy another console. I fear that if they release a Switch Pro, developers will quickly abandon the original one. @SLIGEACH_EIRE I think you're right on money with that thought. Switch will be the replacement for both. However I think there will be a smaller rugged switch with better battery life in about two years that will be aimed at the young crowd. One platform is a great way to go. The Switch is not going to be their final console. Look at all of Nintendo's world wide sales for each console. The Gamecube, Wii U, and Switch have not come close to the sales of the SNES, N64, or Wii. The Wii did well because it offered a new way to play and the Virtual Console was large. If the Wii U can not compete with the N64 or SNES sales when the population was lower than now... How is the Switch going to do any better? @SLIGEACH_EIRE I really doubt there would be a console replacement for the Wii U that ISN'T the Switch... but it would be interesting to see. I mean... what would be the focus of that machine? Raw power? Dual Screens again? 3D? All of the above? I just don't see how another Nintendo home console could live alongside the Switch without one being harmful to the other. I guess after a few years though they totally could discount the Switch and stop selling it with the dock in-box... Making it a cheaper portable console, essentially... hm. 2019: No more new first party games for 3/2DS but Nindendo keeps manufacturing units/old games, and new third party releases still appear, probabaly for some time. 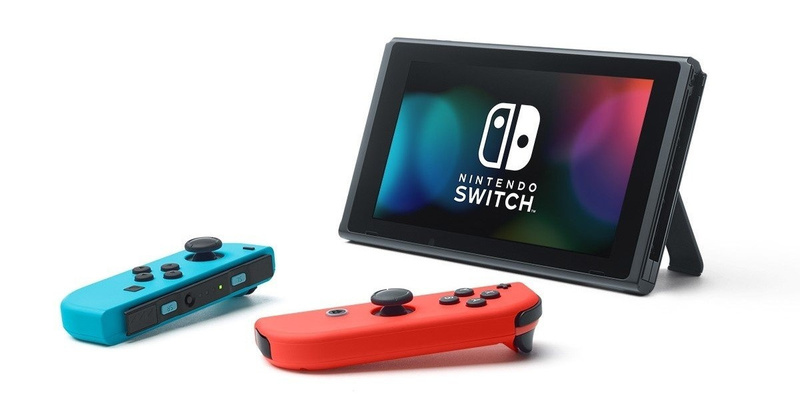 2020: Switch Pro (more power, 4K to TV, 1080 device screen, $250-300)... AND Switch Mini/Go (less power, smaller 720 screen, fixed joycons, no TV output, $100-150). "If anything, it's the Wii U(console market) that will see a successor in a few years time"
As for the 3DS: It could still go on for one or 2 years. But after that there might be a succesor. Switch won't replace Nintendo handhelds entirely. Maybe there will be a Switch with removed card-slots. I mean: Why a card-slot when 99,9% is downloads?! I hope they do not release another 3DS. They made the Switch portable for a reason! I am excited to see Nintendo put all their effort into games on one system. Eh, that's what I said. Switch isn't Wii u 2 (a Wii u with huge graphical improvement) but a Wii u 1.5 (a Wii u with slightly better graphics). Honestly, after I've picked up my Switch, my 3DS just feels redundant at this point. Like, why are they releasing Pokemon Ultra Sun&Moon on 3DS and not Switch? After playing on the Switch's big screen it's hard to go back to even the 3DS XL screen.